Hearing so many different statistics and figures about street children can be overwhelming. We must never forget that behind every statistic there is a real young person with real memories, stories and pain. Sheku. Beatrice. Sylvanus. Abdul. Christiana. Mary. Aisha. These are the names of just some of the street children with whom Laughter Africa has worked with in Sierra Leone. When we hear about the violence of the streets, we think of Sheku who was stabbed in the neck and died at age eighteen. When we think of street children being abused on the streets, we think of Beatrice. When we hear of cancer, we think of Sylvanus. When we hear of children turning to the streets because they are pregnant, we think of Christiana. 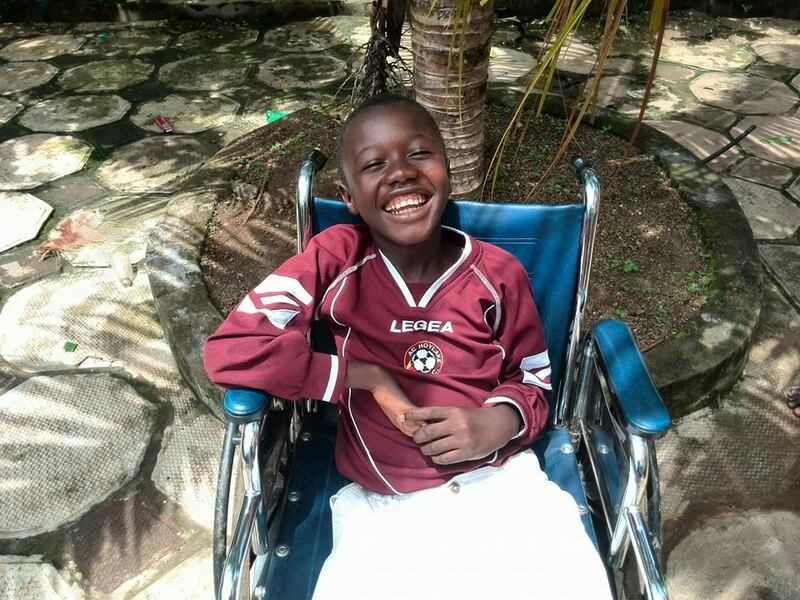 When we think of disabled children living on the streets, we think of Abdul. When we hear of girls fleeing to the streets to escape underage marriage, we think of Zainab. This list could go on and on and on….. When you accept our help you become part of the Laughter Africa family; you are not just another statistic. Like any family we will take lots and lots of photographs and put them up around the house; up on the wall and even in the family photo albums – a sign of true belonging. We invite each child who has been able to turn their life around, with a little help from us, to contribute their stories to our online book so that they will always be a part of the Laughter Africa story. Every street child has their own story to share – how they ended up on the streets, what their experience of the streets was like and their hopes and aspirations for the future. We will post updates to their stories so that you can follow their progress – if they find a job, if they have a family. In so doing, the child moves beyond being seen only as a “street child”; you will learn to know each child by their name. Click here to visit our online book to see some of the young people with whom we have worked and to read their stories.